Being a fell runner is one of life’s great pleasures. 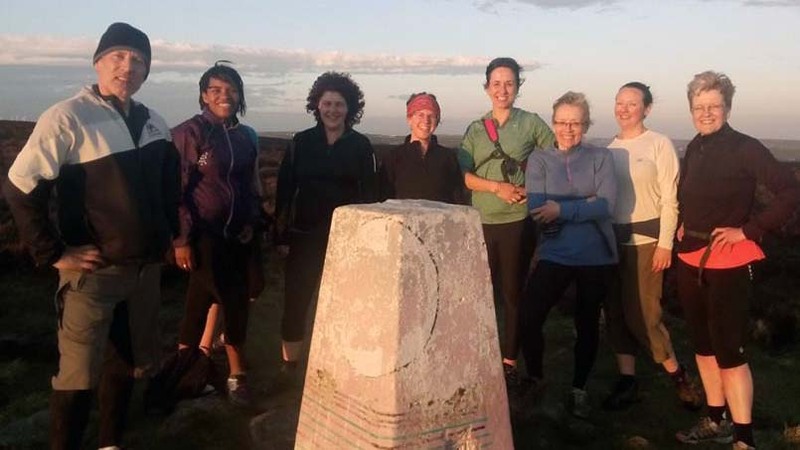 To be able to partake in a sport in which about the only specialist bit of kit you need is a pair of £70 studded trainers, join a top club for tuppence ha’penny a year, enjoy some of the country’s finest scenery and then go for a drink with likeminded people afterwards is pretty good in anybody’s language. All we as your club ask is you take responsibility for looking after yourself while out there. Don’t expect others to do it for you. These are the basic requirements and will all fit nicely into a three-quid inov8 bum bag. On longer outings in the winter months when the weather is looking a bit fruity, common sense may suggest adding a bivvy bag, a Primaloft/ fleece top, or even some tights to keep warm. Not much to ask is it? But if you turn an ankle, tweak a hamstring, get lost, or go walkabout in the mist, then things can go badly wrong and fast. You lose body heat in the blink of an eye and it can be a long way back to the start. It can happen to the best but mainly to those who ignore the rules. So come on everyone, let’s all get on this now. 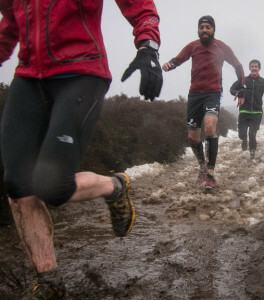 Whether you’re on a British champs race, a local fell race, or just out on Midgley Moor splashing around with Dave Beels and Richard Sunderland, don’t be a chump, take the full gear with you just in case. It’s not fair that somebody else may need to offer up their jacket, hat, gloves, food just because you can’t be bothered to take yours out with you. Be safe, be happy and respect the sport. This is an interesting and very informative leaflet produced by the Fell Running Association on “How to Avoid Hypothermia”. Well worth a read. 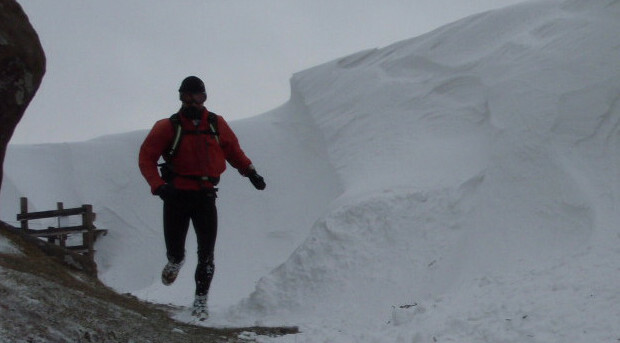 Beginners Sessions … come and have a go at fell running …. 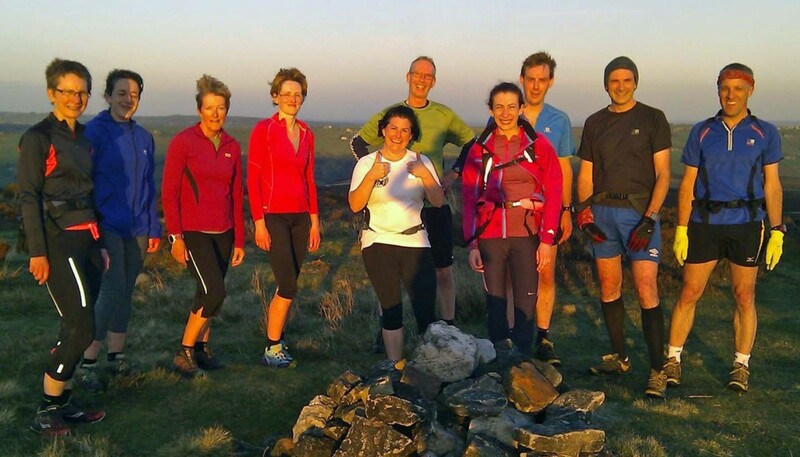 Calder Valley Fell Runners will be running free, open sessions from the 14 April for 6 weeks. Tuesday nights, 6:45pm, meet at Mytholmroyd Community Centre. 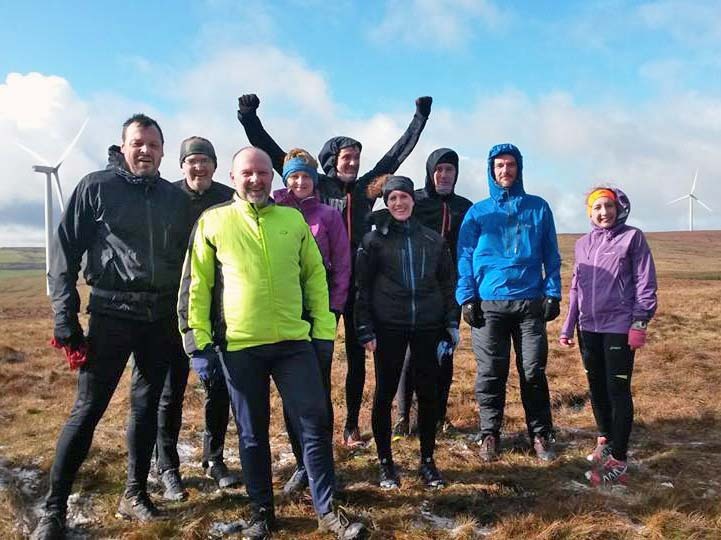 If you’d like to try fell running in a safe, supportive environment, this is your chance – get fit, have a laugh and make friends! You need to have a fairly good level of fitness, e.g. do a gym session/cycling/football twice a week. Bring the grippiest trainers you have and a cagoul, it gets cold on the tops! Drinks in the Shoulder of Mutton afterwards.